Evanston Public Library, 1703 Orrington Ave. The library staff members plan to expand the book collections and introduce a mobile library. Evanston Public Library is collecting feedback from community members, planning to expand its book collections and working to introduce a mobile library — an effort to make its services more inclusive. These steps follow the release of the library’s equity, diversity and inclusion report in September. 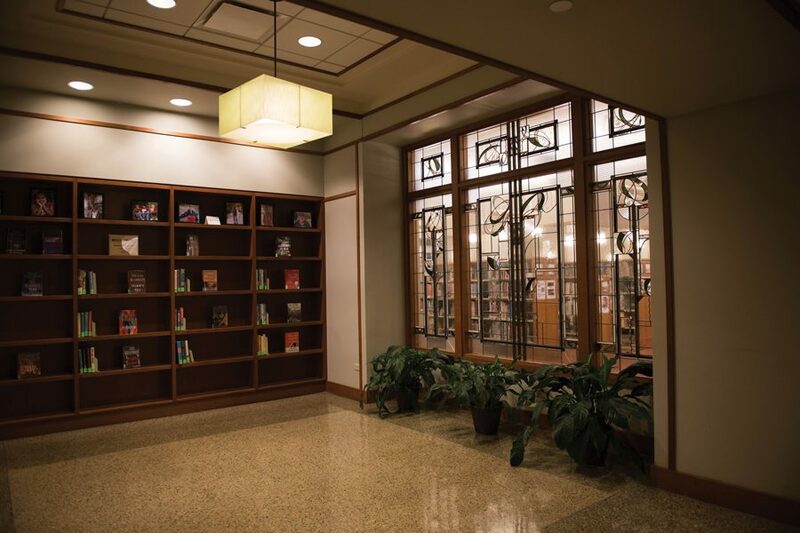 The report — commissioned by the library and conducted by the minority- and woman-owned consulting firm DeEtta Jones and Associates — detailed several recommendations, including hiring more people of color, creating an innovative approach to service the 5th Ward and expanding book collections to represent and be more accessible to black and Latinx communities. Latino outreach librarian Mariana Bojorquez said she has been working on expanding the book collection by going to book fairs and talking to patrons about what they want to see on the shelves. She also has been visiting buildings and stores to ask community members how the library can be more equitable. Additionally, library director Karen Danczak Lyons said EPL is working on creating a mobile library that could bring books and laptops or create pop-up computer classes around Evanston. But she’s also heard residents, especially from the Latinx community, express a desire for a bilingual after-school homework program run by the library. And Bojorquez agreed with the need to increase diversity among library staff. Bojorquez, a person of color, took over her position in August, but the report indicated that the role has experienced turnover in the past. Following the release of the report, Danczak Lyons said the library would collect public comment on its contents through October. However, Danczak Lyons said she has extended the comment period through November after staff received “very little” input. She added that the library has translated the report and a comment page in Spanish. Danczak Lyons has also attended city budget hearings and held her own meetings at community centers in the 5th Ward. She said she has reached out to the 5th, 8th and 9th Ward aldermen to find out what services their residents would be interested in and what the best places would be in each ward to set up the new mobile library.